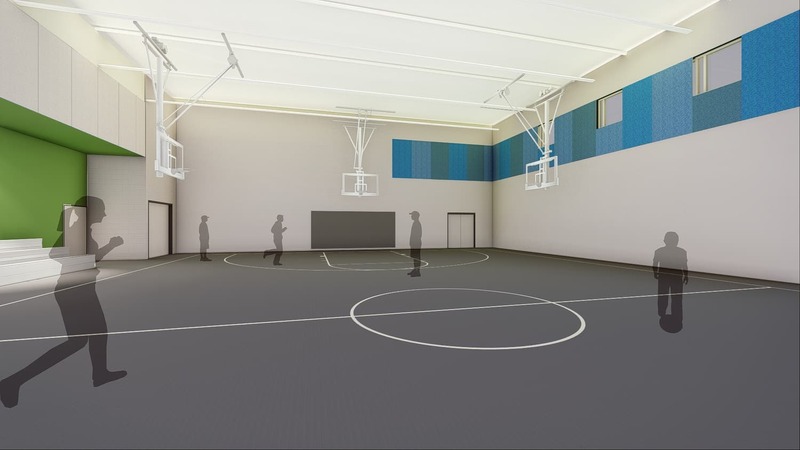 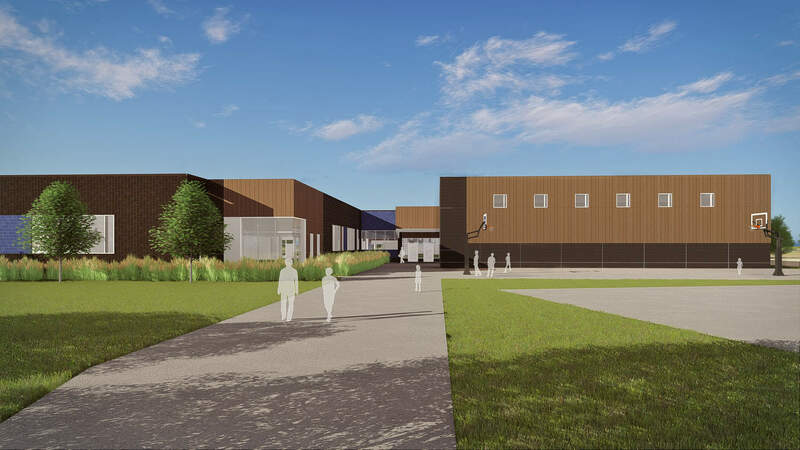 At the first new school for Saint Paul Public Schools in 20 years, BWBR planned and designed RiverEast to provide a therapeutic, supportive, and safe educational environment for K-8 students in the federal level 4 Individual Education Program. 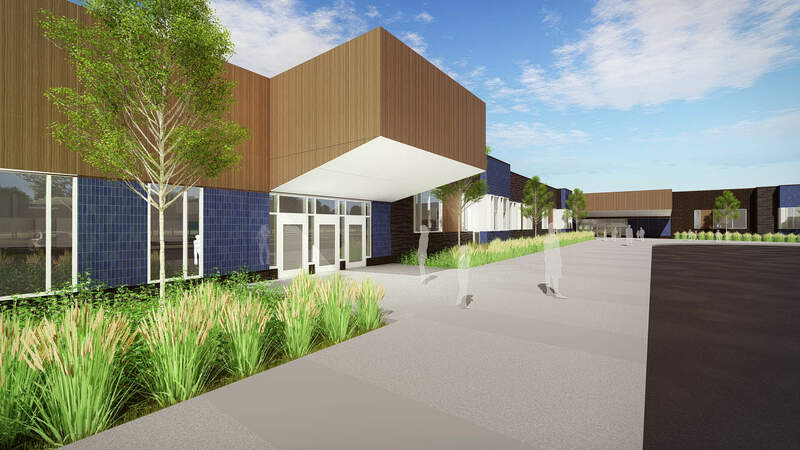 Through carefully selected design elements, the industrial-building-turned-school prepares students to rejoin their community schools with the social, behavioral, and academic tools needed to succeed. 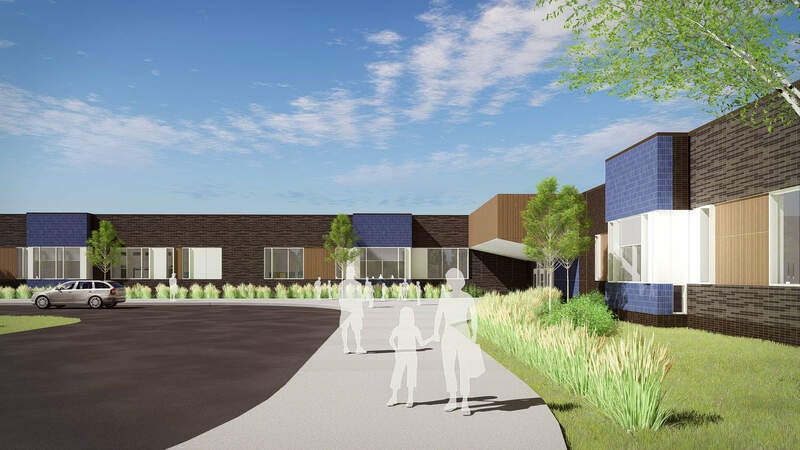 The building is organized around learning communities that house calming classrooms and specialized spaces that promote a healing learning environment. 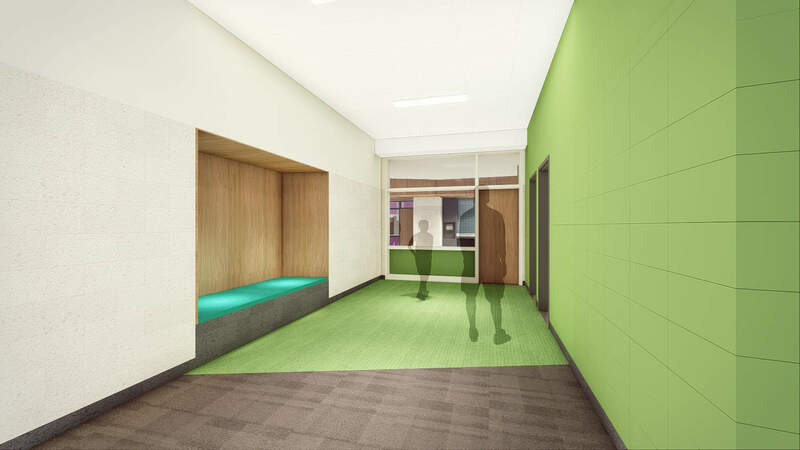 Each learning community features break out rooms to provide space for therapy and individual learning, along with small group rooms to support community and cooperation. 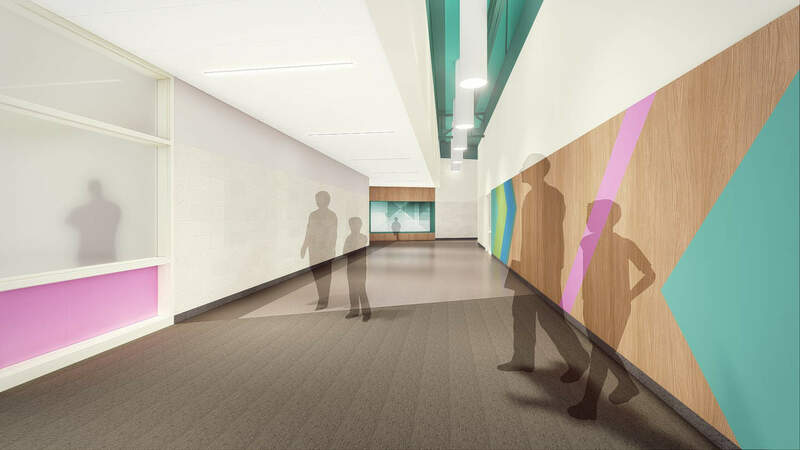 Markerboards for graffiti art as well as exterior play and green space encourage students to freely express themselves. 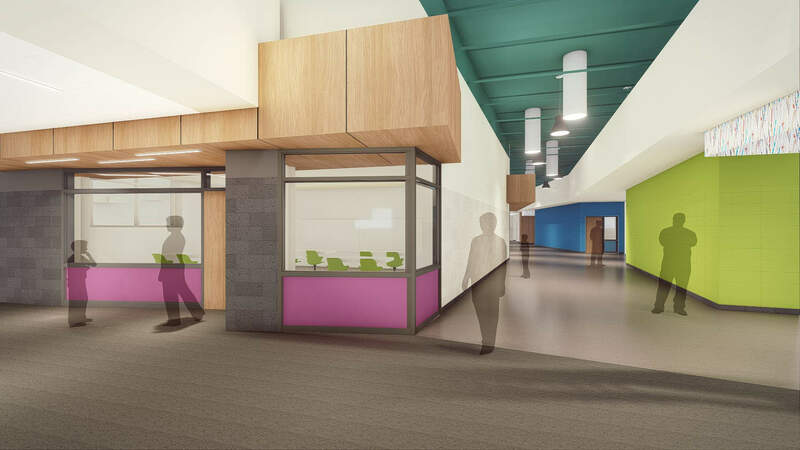 BWBR’s Human-Centered Safety® focus put the needs of students and teachers at the center of the design. 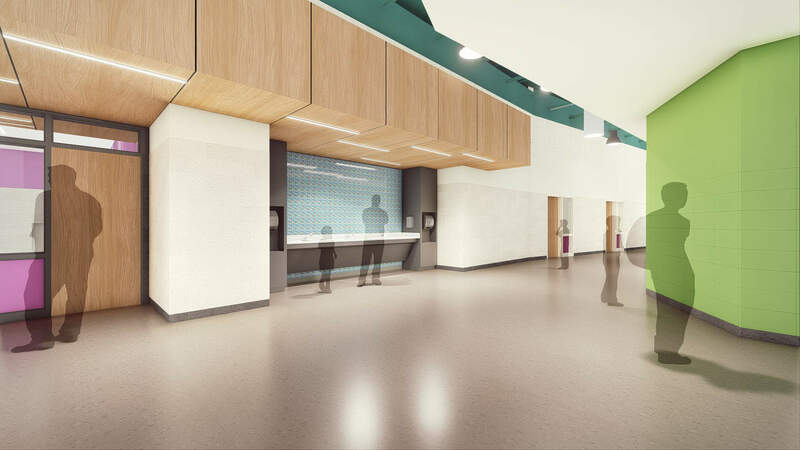 Secure access into the facility and to internal learning communities are elegantly integrated to allow learning to shine over security. 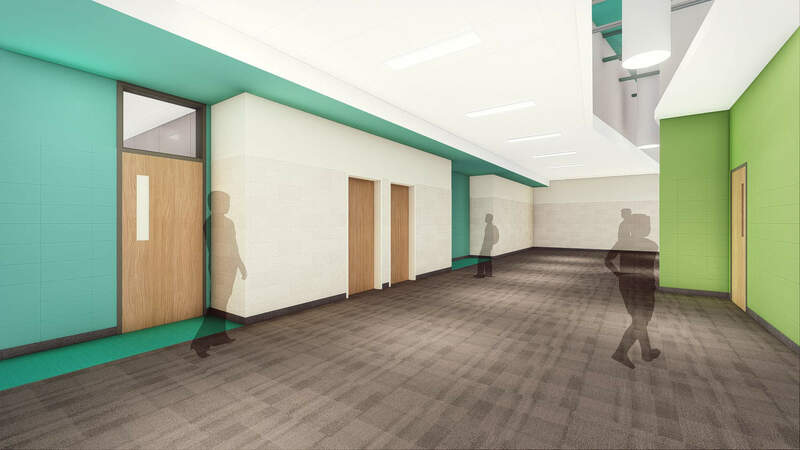 Spaces are layered from classroom to community room to hallways that give staff levels of intervention for students who need to regain control of their bodies and minds. 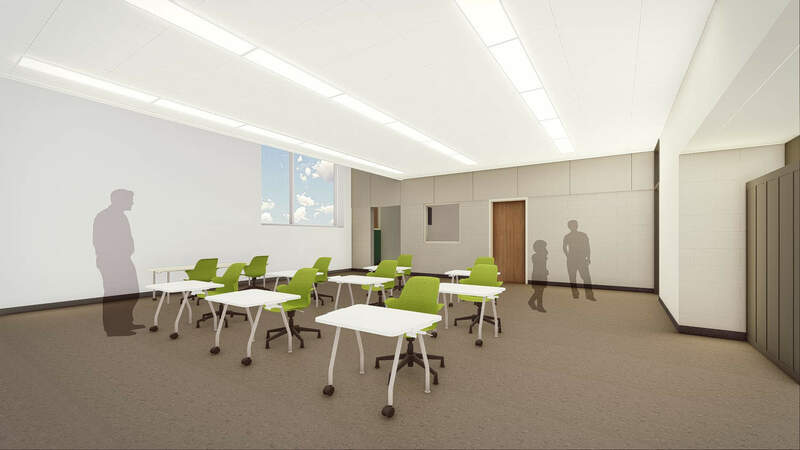 Durable and flexible furnishings allow the spaces to adapt to the needs of staff and students and eliminate the rigidity that could challenge this unique population.